This is a "growth at all costs" landscape. Enough.. 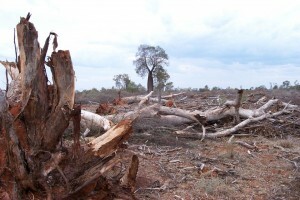 The state government has pushed through another raft of rollbacks under the misnomer of "reform"
While SCEC is in the process of fully assessing the consequences of these changes, it is evident that the some of the last remaining environmental provisions in the Vegetation Management Act (which was all but dismantled earlier this year) are gone. The community needs to stand up in the face of this unrelenting and misguided growth agenda which is leaving a legacy of environmental and social destruction. Hardly the "prosperous" future being touted! The Sustainable Planning Regulation 2009 was amended by the Sustainable Planning Amendment Regulation (No. 4) 2013 on Friday 2 August 2013.
inserting relevant definitions supporting the operation of the provisions, for airport premises, airport-related purpose, livestock, and saleyard. View more information on all amendments to the Sustainable Planning Regulation 2009.